Save More for Your Tomorrow, Today! Saving money paves the way to financial freedom. How can Grow help make your dream of the future possible? By offering competitive dividend rates on our savings accounts, so you earn more. The more you earn, the faster your money grows and the faster you get to living your dream, free from financial worry. Give your retirement savings a big boost by taking advantage of this special, limited-time offer. Plus, we’ll match any competitor’s advertised rate on a comparable IRA Certificate Account/IRA Certificate of Deposit, up to 2.75% APY3! They say time is money. That’s exactly how a Certificate Account works. Just give your money time to grow with this special, limited-time offer. Plus, we’ll match any competitor’s advertised rate on a comparable Certificate Account/Certificate of Deposit, up to 2.50% APY5! Here, you’ll earn a competitive dividend while still having access to your money. The earning starts on balances of $1,000 or more, and with higher balances, well, you know, higher dividends. A Money Market Account is perfect for building up an emergency cash reserve. Or, visit any of our neighborhood store locations and speak with one of our Relationship Specialists. Remember, it’s not how much money you make. It’s how you save it! 1Annual Percentage Yield (APY). The Annual Percentage Yield quoted is effective as of 1/17/2018 and is subject to change at any time. A penalty will be imposed for early withdrawal. Fees could reduce earnings on the account. There is a $500 minimum balance to open the IRA Certificate Account. There is a $500 minimum to earn the APY. Maximum deposit amount is $250,000. IRA Certificate must be opened with new money not currently on deposit in a share account with Grow Financial. Offer valid thru 06/30/2018 and may be withdrawn at any time. 3Rate match valid only on IRA Certificate Accounts/IRA Certificates of Deposit offered by financial institutions federally insured by the NCUA/FDIC. Brokered accounts and investment firm offers are excluded. Show us a qualified competitor’s current rate and we’ll match their APY up to a maximum of 2.75% APY on IRA Certificate Accounts/IRA Certificates of Deposit with terms of 27 to 36 months. Advertised rates must be effective within the last 14 days. Expired offers will not be accepted. 4Annual Percentage Yield (APY). The Annual Percentage Yield quoted is effective as of 5/03/2018 and is subject to change at any time. A penalty will be imposed for early withdrawal. Fees could reduce earnings on the account. There is a $500 minimum balance to open the certificate account. There is a $500 minimum to earn the APY. Maximum deposit amount is $250,000. 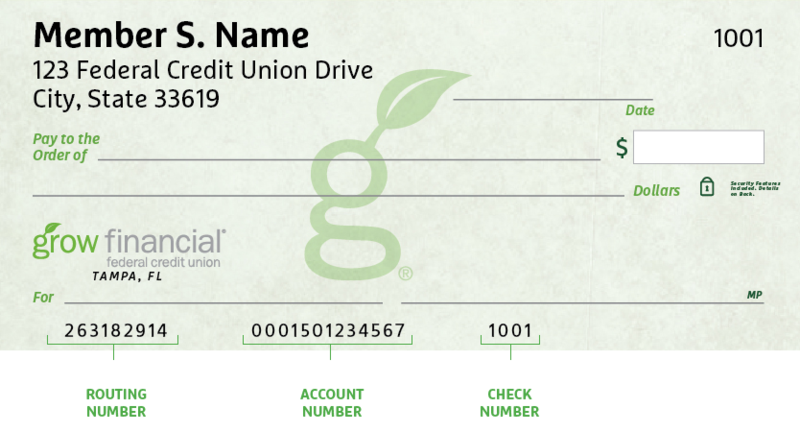 Certificate must be opened with new money not currently on deposit in a share account with Grow Financial. Offer valid thru 06/30/2018 and may be withdrawn at any time. 5Rate match valid only on Certificates Accounts/Certificates of Deposit offered by financial institutions federally insured by the NCUA/FDIC. Brokered accounts and investment firm offers are excluded. Show us a qualified competitor’s current rate and we’ll match their APY up to a maximum of 2.50% APY on Certificate Accounts/Certificates of Deposit with terms of 27 to 36 months. Advertised rates must be effective within the last 14 days. Expired offers will not be accepted.